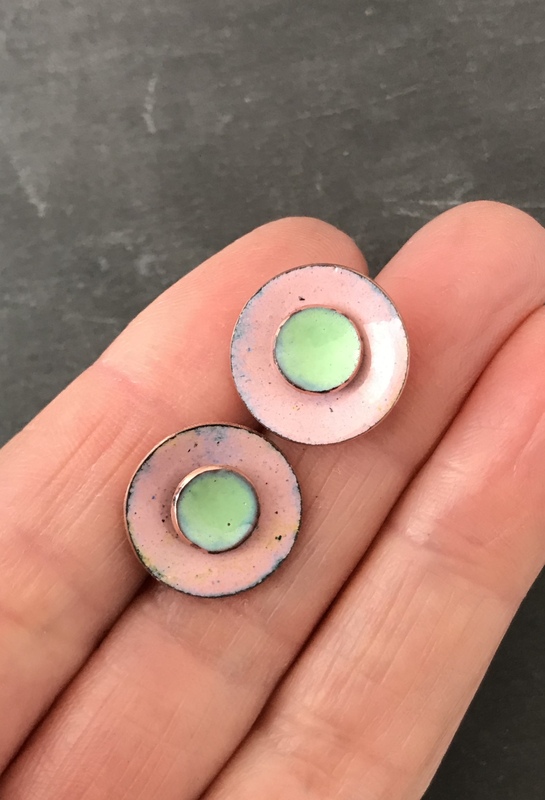 These earrings are both colourful and clever. 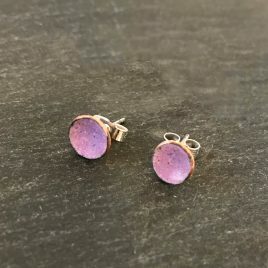 They can be worn separated or together to create two different looks. 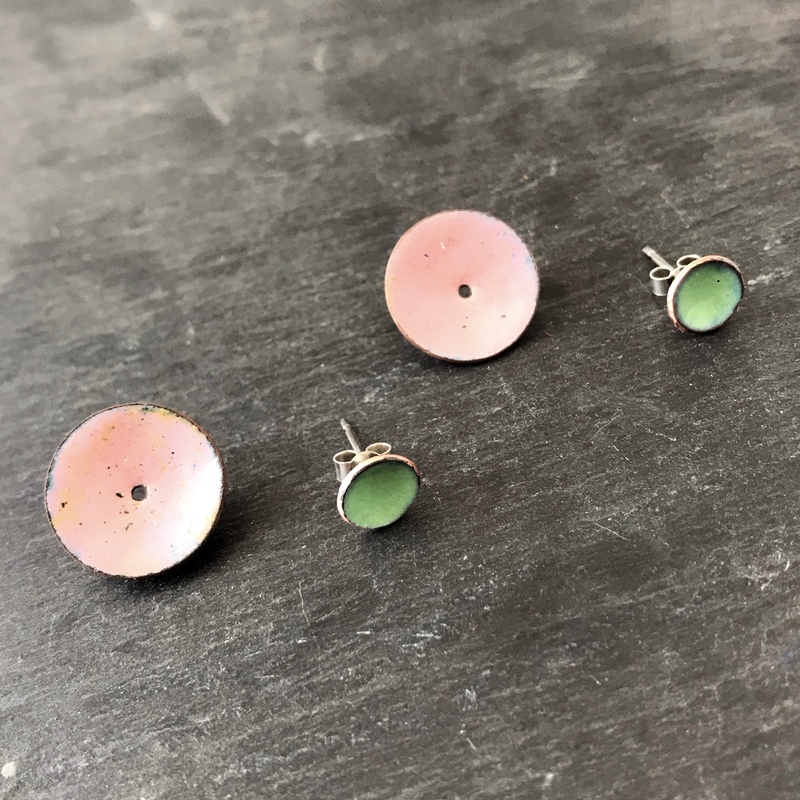 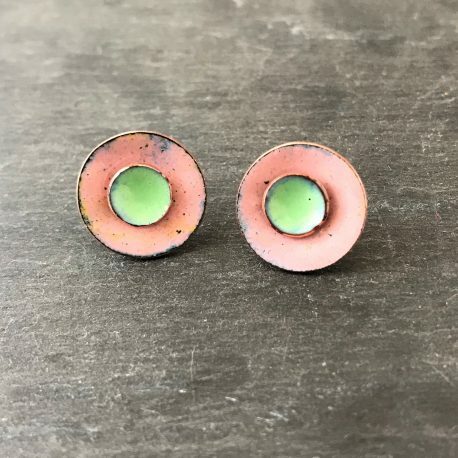 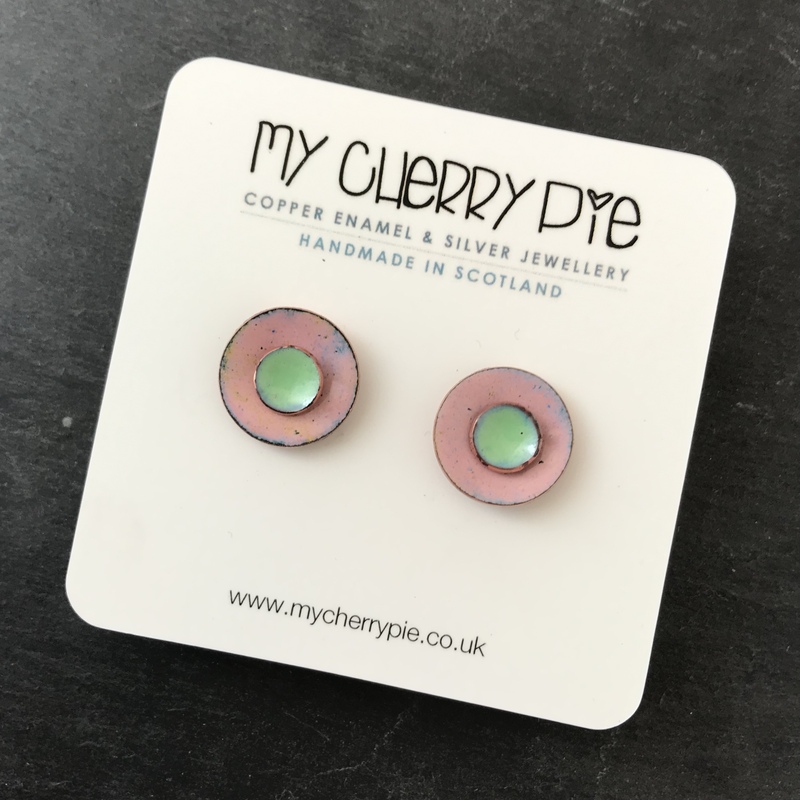 The colour combination is great for spring/summer with a baker-miller pink 16mm concave circle which can be worn behind a subdued celadon green 8mm concave stud. 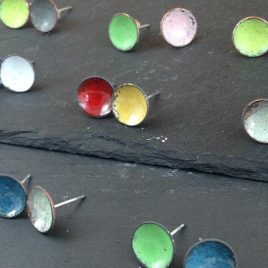 The two colours compliment each other well and create a fresh and contemporary look. 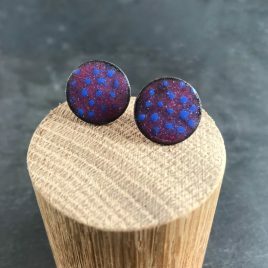 Other colour variations and sizes are available for this style. 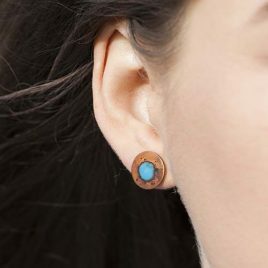 There is a sterling silver post and scroll attached to the back of the ear stud.